6.30pm – Buck’s fizz drinks on arrival. Non-alcoholic drinks available. *Start time of entertainments are subject to change – to be confirmed. Choose one from the following options. You will be able to select your choices when you purchase your ticket on Eventbrite. By train – nearest rail station is Denby Dale. 5 mins by taxi/car to hotel. 35-40 mins walk on foot. Taxi booking to reach hotel is recommended. There are plenty of places to stay around Scissett area including nearby main towns of Wakefield, Huddersfield and Barnsley. On the following day, Sunday 13th October 2019, there will be an arranged visit to the National Coal Mining Museum (NCM) in Wakefield. They can accommodate up to 18 people for the underground tour. 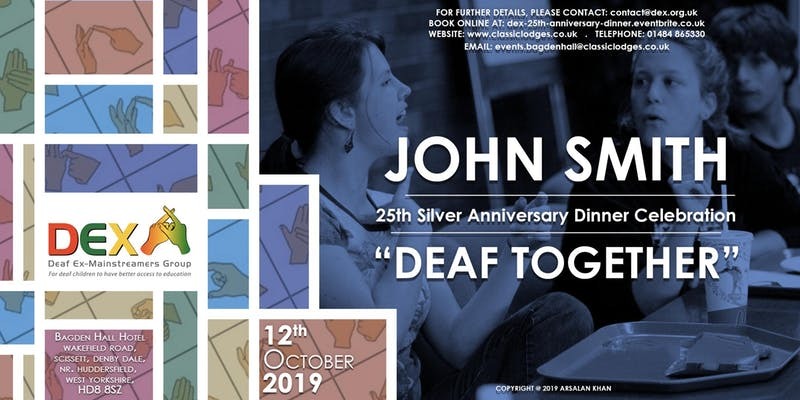 A BSL interpreter will be available. The tour is for 1 hour 20 minutes. The cost is £2 per person for the tour. If you do not wish to go on the underground tour, you can take a look at the exhibits inside the museum. It is free. Time of tour to be announced when the underground tour is booked. Your name will be added to the list. First come, first served. Yorkshire Sculpture Park is UK’s leading open air gallery. There is plenty to see and do inside and outside, with acres of land and countryside. Entrance is free. Parking fees are applicable. Based in Holmfirth, this exhibition is dedicated to the world’s longest running TV comedy, Last of the Summer Wine. You can also visit and explore the Summer Wine Countryside. See website for entry fees. Hepworth is Yorkshire’s major art gallery presenting exhibitions of international, modern and contemporary art plus galleries worth exploring. There is also a souvenir shop containing many gifts for adults and children. This museum provides a great day out with your family and friends where you will get to learn about the history of coal mining. You will have an unique opportunity to travel 140 metres underground to explore England’s last deep coal mining. One of a must-see attractions and is rated as one of the top five things to do in West Yorkshire. There is no minimum age. Everyone is welcome. A reduced price is offered for children 17 and younger. There is ample parking on-site. The nearest station is Denby Dale, 35-40 minute walk to the hotel. Taxi booking / or lift to hotel is recommended. Dress code is casual smart. Wear something silver, if you like. Who can I contact for further details? You may contact Georgina Brown, Event Organiser, Ian Randell, Event Co-Organiser or Jill Jones, Chair of DEX by email or text message. Please see details above. Sorry, there are no refunds on ticket sales. Yes, you can. Up to maximum of 10 people for each ticket type. 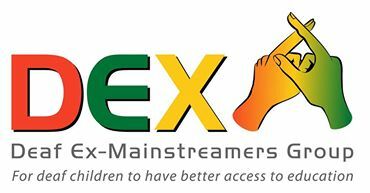 The Deaf Ex-Mainstreamers Group campaigns to support deaf children in mainstream and Deaf Schools, encouraging bilingualism and develop a positive sense of deaf identity and well-being for all deaf children.